The Jefferson Single Family Home is the largest plan in Jennie’s Meadow. The Jefferson Single Family Home features a gracious 2,053 square foot print. 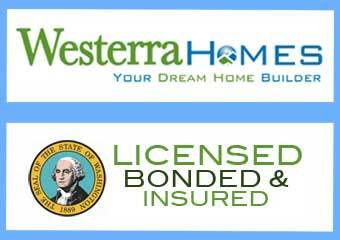 Brought to you by Westerra Homes in Sequim Washington, this plan is the largest plan offered in Jennie’s Meadow. With two bedrooms, a den and formal dining room that includes a breakfast nook, The Jefferson plan is a single family dream home. Both the central gathering room and laundry room are also the largest of all single family homes located in Jennie’s Meadow. Single Family homes feature a Great Room with fireplace and entertainment area, combined with a spacious kitchen and light-filled nook adjoining a covered outdoor patio. Oversized doors and windows add space and natural light. Architectural details like half-columns serve to define room transitions. 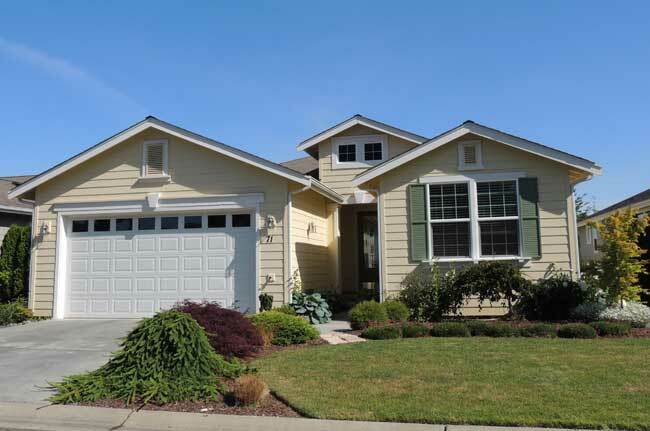 Fully-landscaped yards with irrigation; stylish and efficient kitchen islands with tiled counters; a separate laundry room with cabinetry; centralized media panel (with Cat-5 wiring); energy efficient heat pumps; and a two-car, attached garage. While it’s great to look at plans and view still pictures of a home you are planning to buy, but there is no substitute for a visual tour. Transport yourself into The Jefferson Single Family Design.